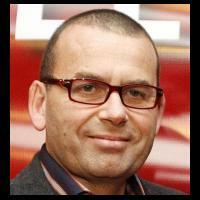 I was never a fan of Paul Henry. Although he could occasionally be quite witty, too often his humour was at the expense of other people, an approach that finally resulted in a public furore and his resignation. However, in all of the drama of the last week or so, Mr Henry’s excellent work dealing with a ’woo peddler’ on Wednesday 29th of September has been overlooked. Don Tolman, aka the whole food cowboy, was touring New Zealand presenting what some have described as his ’controversial’ views on food and nutrition. (Personally, I think the words ’fear mongering’ and ’scientifically bereft’ are more appropriate descriptions). While some of his advice makes sense, for example the idea that many whole foods are good for us – like many woo pushers he extends this idea too far, way beyond what science has shown and beyond the realms of sensibility. For example, Mr Tolman believes that there is no need for gluten free food because it is the chemicals put on grain crops and not the gluten that causes many people problems. He also claims that cancer would not exist if everyone ate healthily and rallies strongly against the pharmaceutical industry, claiming that many people die of cancer treatments and not the cancer itself. Paul Henry took exception to this remark, as did I, and did a fine job of challenging these ill-informed comments. Tolman’s interview on Breakfast can be seen here.